Operating from our offices in Haverhill we have been providing bespoke Blind and Curtain solutions to beautiful homes in Essex, Cambridge and Suffolk for nearly 16 years. 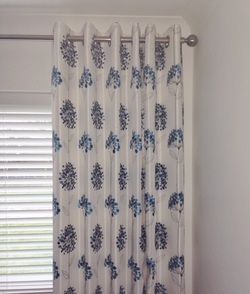 All of our Blinds & Curtains are made to measure. Friendly and professional we survive our reputation as one of the best providers of Blinds & Curtains in our area. We are proud to compliment our services with our free measuring service, free quote and also free fitting. Matthew will come and see you in the comfort of your own home and offer a wide range of samples for you to look at with ease. Unfortunately I am no longer operating on the market in Haverhill on a Saturday, although a bill board will be in place where you are welcome to take a card and contact us at your convenience.